There are so many questions about curly hair that need answers, but do not despair; thankfully, there is a wealth of information online, in books and on you tube to assist. If you are on a journey to transition from relaxed hair to natural hair I want you to understand that growth will not happen overnight, but it will come. Furthermore, your hair will not reach its full potential until products full of petroleum, waxes and silicones are no longer clinging to your strands. Keeping hair in optimum condition during the growing-out phase is paramount, because you want your new growth to be healthy. (5) Coconut oil, Shea butter, Olive oil, Castor oil, Grape seed oil, Jojoba oil & Patience are key moisturizers during this phase. 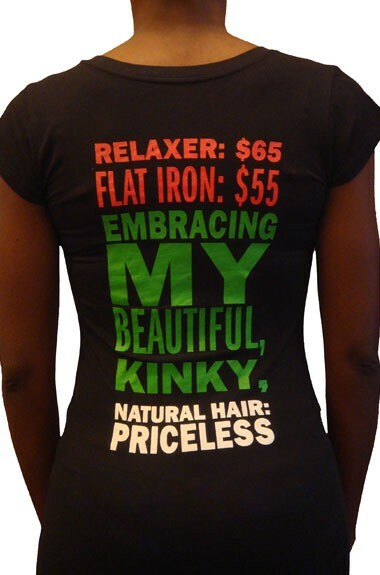 I could give you a trillion reasons to go natural, but lets begin with ten! You’ll save the time and money you spent on hair appointments. At the outset natural curly hair may seem difficult to manage, but once you get the hang of it, it becomes easy. For me the biggest challenge was finding a routine that worked! Once I did, I continued with it. Good luck!!! Feel free to share your experience(s) below. Ten Great Reasons to Go Natural. NappyMe. nappyme.wordpress.com. 11 August. 2011. Web. 11 April. 2012. Hermitt, Andrea. M.A. 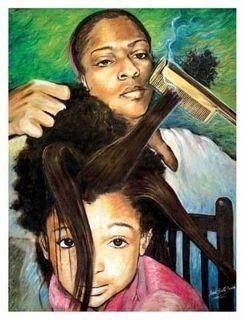 Reasons for Black Women to Wear their natural hair. Voices.Yahoo.com. 21 June. 2006. Web. 11 April. 2012. Dr Oz Fans. Dr Oz: Brazilian Blowout, Relaxers, & Hair Straighteners: What’s Safe?. Drozfans.com. 8 December. 2010. Web. 30 March 2012. Evans, Charlotte. New Study links Relaxers to Fibroids. Bet.com. 23 February. 2012. Web. 30 March 2012. Massey, Lorraine and Bender, Michele. curly girl The Handbook. New York, 2010. Print.